Latin Energy Is the ONLY World Latin Dance Cup Champions Salsa Bachata Dance School in Toronto!! 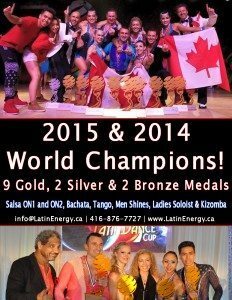 Dance School Toronto’s World Champions Salsa Bachata Kizoma Tango LATIN ENERGY the best Dance School and is proud to be the Dec. 2015 & 2014 World Latin Dance Cup Champions in several divisions! 10 GOLD 2 SILVER and 3 BRONZE!!!! Among other 25 local & national Fist Place Canadian Titles by Jenalyn & Raymond. Vanesa Stay is the coach and choreographer. LATIN ENERGY dance school has traveled all over Canada and around the world performing, competing and teaching. 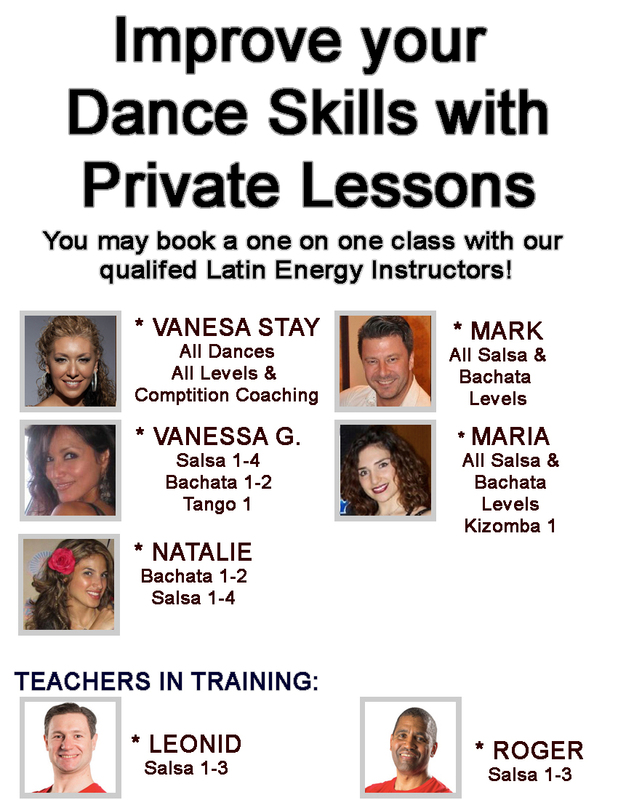 LATIN ENERGY Dance School was founded by Vanesa Stay in March of 2002 in Toronto, Canada. Vanesa is a Professional Latin Dancer, Yoga & Zumba Instructor, Performer, Choreographer, and a well recognized World Latin Dance Cup Judge. LATIN ENERGY Dance School is working towards becoming internationally recognized for their unique performance style and their teaching skills. They aim to share with their students the richness of Latin culture and their love for salsa. LATIN ENERGY dancers concentrate on offering their audiences the best in entertainment and proudly represent Canada’s dancing talent wherever they perform. LATIN ENERGY is a well known Latin Dance School in Toronto / Mississauga / Etobicoke area where she dedicates most of her time teaching. As well she producing many large and popular events such as the World Latin Dance Cup Qualifier Competition & Dance Event hosted in association with Albert Torres Productions which is now the only Toronto “World Latin Dance Cup” Qualifier. She’s also one of the WLDC judges since 2010. Vanesa is a Professional Latin Dance School, Yoga & Zumba Instructor, Performer, Choreographer, and a well recognized World Latin Dance Cup Judge. Vanesa Stay has studied Yoga in Rishikesh, India. She is also a professional dancer, performer & choreographer who has been teaching since 2000. Vanesa applies her experience and knowledge of dance postures into her Yoga practice making her Yoga style of teaching very unique and graceful. Vanesa has also studied Yoga philosophy, asana, pranayama, mantra, meditation, anatomy & visualization making her classes easy to follow but still challenging, balanced and energizing. 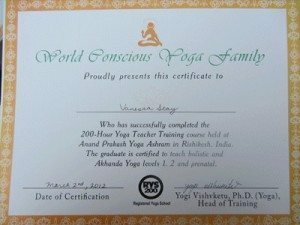 Successfully completed a 200 hour Holistic Yoga training at Anand Prakash Ashram in Rishikesh, India with Yogi Vishvaketu. Studied Asana, pranayama, mantra, visualization & meditation, class sequencing, anatomy, yoga philosophy & teaching methology. Vanesa also has her ZUMBA CERTIFICATION received on Dec. 2013. You have to learn how to crawl before you walk. But for Vanesa Stay, she was taught the love of dance as soon as she was about to stand. Fast-forward three decades and Vanesa is now one of the top-rated professional certified Latin dance, yoga and zumba instructors and choreographers not only in Canada, but the world. In 2002, she founded her own private school, Latin Energy Dance Company in Toronto, and began teaching five students. Over the years, enrollment has boosted to the thousands. And as a performer and choreographer herself, she is an established World Latin Dance Cup judge since 2010. Born and raised in Mendoza, Argentina, dancing was in her blood from the very beginning. At age five, she strapped on ballet shoes and began intensive training at Argentina’s private ballet institute where every day over seven years she learned the art of ballet, flamenco, jazz, Argentine folk and tango. She progressed so quickly, the following year she debuted her talent and grace in local theatres. 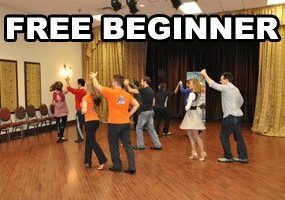 After re-locating to Canada, Stay discovered – and fell in love – with the hypnotic energy of salsa in 1999 and began researching dance training. She sought out different congresses around the world and began private training with renowned instructors and world champions in each genre. 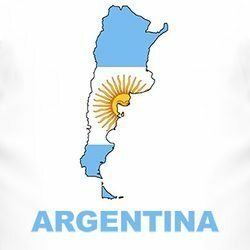 In Argentine tango, she worked with a number of instructors, including Tango World Champion “Fabian Peralta,” Mora Godoy and DNI modern Tango School in Buenos Aires. On top of that, Stay has in-depth experience with bachata, cha-cha, kizomba and international Latin ballroom dance. Later in 1999, she began competing in local salsa competitions in Toronto and walked away with first place many times. She’s toured to the South America to dance in the Puerto Rico Salsa Open in 2002 and nabbed title of 2003 Vice World Champion at the World Salsa Federation Championships held in Miami. Stay’s magnetic and down-to-earth attitude has translated both on and off the dance floor, with an inevitable transition to film and television. She’s starred in a number of TV shows, commercials, including Take the Lead with Antonio Banderas, Death to Smoochy with Danny DeVito, Univision in L.A., Our Toronto on CBC, DayTime Toronto, Mansions, Party Mamas, Style by Jury, Paso a Paso por el Mundo, and TO Latino. The dance queen has also been featured as a guest star or expert on CBC News and many local radio shows. Her esteemed reputation has producers of popular dance shows take notice and invite her on board alongside So You Think You Can Dance and Dancing With the Stars judges Jean Marc Genereux and Tre Armstrong. Stay has taken centre stage during major concerts – El Gran Combo de Puerto Rico, Willie Colon, Jose Albert El Canario, Son De Cali, Gilberto Santa Rosa and more. But teaching is also a great love for Stay. At her Toronto studio, she devotes her time and resources to help her students, regardless of age. Some of her younger students – ages five and seven – have gone on to win first prize in the 2012 and 2014 World Latin Dance Cup. 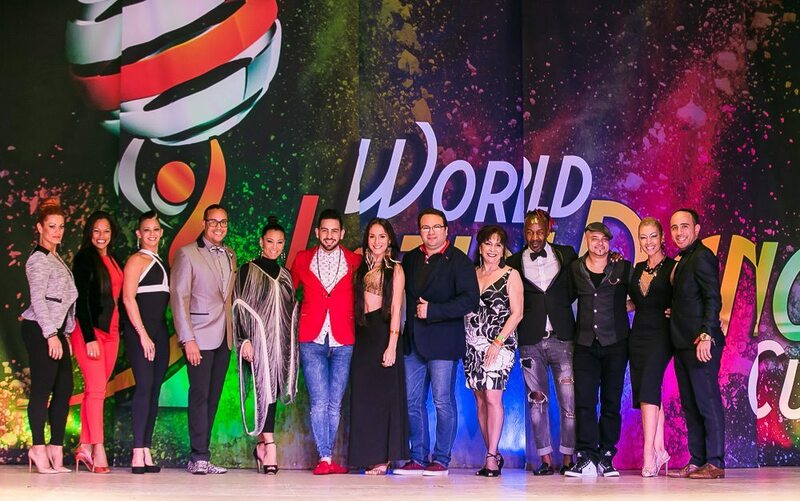 Seven students without any previous knowledge of Latin dance have accelerated and succeeded into the World Amateur Champions in just a short time with her coaching and choreographing skills in 2015 alone. 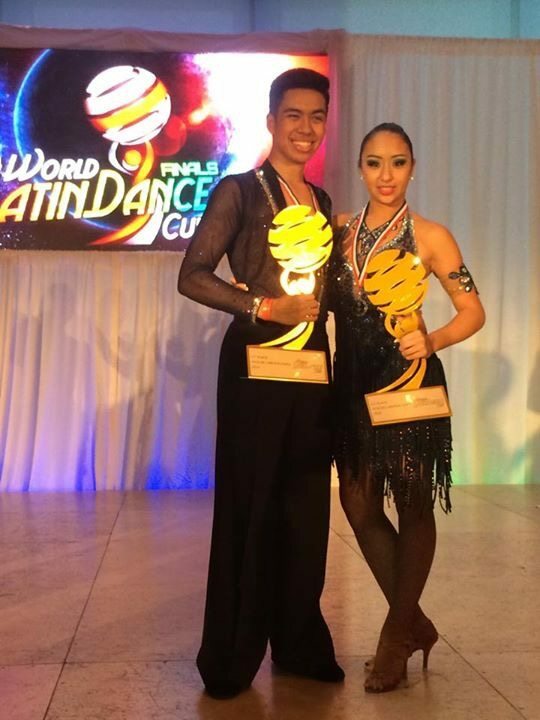 Two other students – Roberto and Daria – took home first place at the World Latin Dance Cup in Miami two years in a row, persevering and recovering past a debilitating neck injury. Stay’s coaching has led to a medal count of nine golds, two silvers and two bronze in 2014 and 2015 alone. 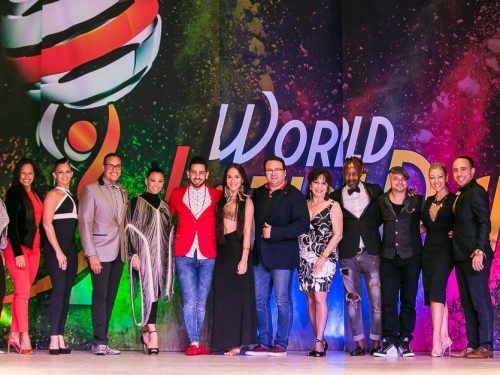 In 2015, Latin Energy was chosen to represent “Salsa” in the multi-cultural Pan Am Games opening ceremony, which was televised internationally and had a sold-out crowd of over 56,000 spectators. In order to prepare for the dance, Stay trained with Cirque Du Soleil to nail down choreography for the act, which featured four couples from the Latin Energy school, who performed at the opening ceremony at Rogers Centre on July 10, 2015. Stay has been a certified zumba instructor since 2013. To add zen to her work, Stay studied Yoga in Rishikesh, India, in 2012, and also completed a 200-hour training course at registered yoga school Anand Prakash Ashram with Yogi Vishvaketu. She also has a Yin Yoga Certification and a Restorative Yoga Certification. Vanesa’s life and passion is dancing but she also has a diploma in computer science worked in IT a web developer/programmer/webmaster for 10 years. 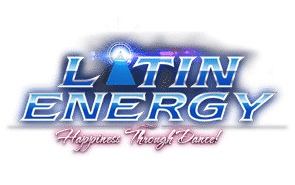 LATIN ENERGY is always working towards becoming internationally recognized for their unique performance style and their teaching skills. They aim to share with their students the richness of Latin culture and their love for salsa. 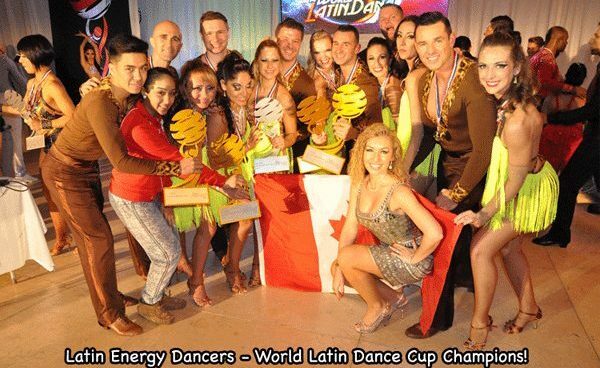 LATIN ENERGY dancers concentrate on offering their audiences the best in entertainment and proudly represent Canada’s dancing talent wherever they perform & compete. 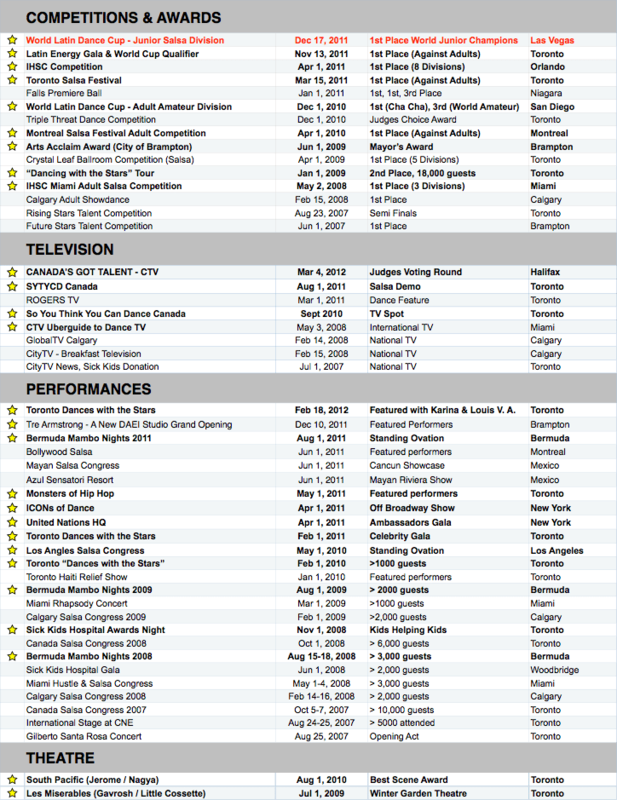 Performances, TV Appearances, International Events, etc. Vanesa’s creative and outstanding choreographies and coaching won her school 9 GOLD MEDALS, 2 SILVER & 2 BRONZE in December 2015 & 2014 WLDC competition! Vanesa Stay is the HOST of the WLDC QUALIFIERS in Toronto every year in September. * CNE International Stage Multicultural Event held in Toronto every Aug.-Sept.
AND SHE IS THE FOUNDER OF LATIN ENERGY. Latin Energy #1 Salsa Bachata Kizomba Man-Shines Ladies Soloist. 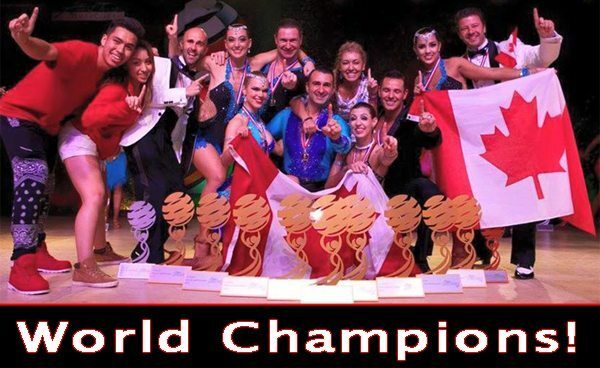 Is the ONLY Toronto’s World Champions Dance School!! 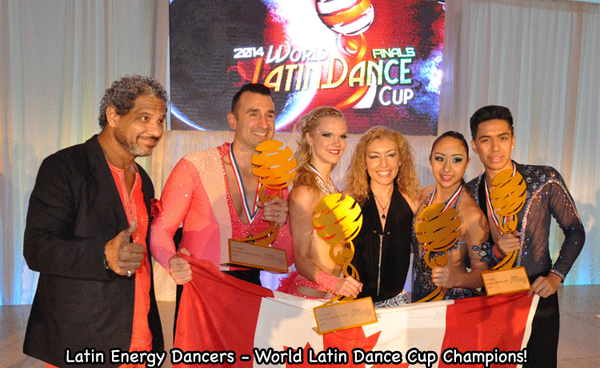 LATIN ENERGY is proud to be the 2015 & 2014 World Latin Dance Cup Champions in serveral divisions! Including First place in Couple Salsa On1, Couple Salsa On2, Team Salsa, Couple Argentine Tango, Couple Pro-Am Kizomba, Duo Men Shines, and Lyrical Soloist Lady and Second Place Bachata Team, Lyrical Soloist Lady and Third Place in Salsa Soloist Lady and Team Bachata Division “in the world”!!! Vanesa Stay is the coach and choreographer. Albert Torres Productions (ATP) has created and produced the world’s largest Salsa Music events such as the World Latin Dance Cup and the Los Angeles Salsa Congress. Latin Energy is proud to be part of these events every year! Latin Energy dancers have performed at many private functions and other large events such as the WLDC, CNE International Stage, Bermuda Mambo Nights, Canada Salsa Congress, Multicultural Festival (Michigan), Winter Salsa Carnival; Street Festivals such as “The Burlington Sound of Music” & “Salsa on St. Clair”; other big corporate events such as Sick Kids Foundation Gala, American Express, at the El Gran Combo & GILBERTO SANTA ROSA salsa concerts and much more. The number of dancers in our team increase slightly every year as we find talent potential in young kids, teenagers and adults. For us, quality of dancing is much more important than quantity. Latin Energy Dance Company is proud to have a very talented team of dancers. Latin Energy dancers have performed at many private functions and other large events such as CNE International Stage, Bermuda Mambo Nights, Canada Salsa Congress, Multicultural Festival (Michigan), Winter Salsa Carnival; Street Festivals such as “The Burlington Sound of Music” & “Salsa on St. Clair”; other big corporate events such as Sick Kids Foundation Gala, American Express, at the GILBERTO SANTA ROSA salsa concert and much more. Visit our Dance Team’s page by clicking the “Team” tab below to read about their dance background, see photos and videos clips of rescent performances. We are always looking for new talent to join our dance team. If you are interested in joining our team, please contact us for an audition. Jenalyn & Raymond are 2 times World Salsa Champions! Winning 1st Place at the World Latin Dance Cup in Miami Dec. 2014, in Las Vegas – Dec. 2011 among other titles such as winning First Place at the at the 2014 World Latin Summit, The Canadian Salsa Championship Oct. 2012 and Toronto’s Biggest Salsa Competition April 2013! Jenalyn, ( 14 years old) & Raymond (17) are brother & sister and they love to perform & compete! They have been training with Latin Energy since 2005. At their very young age, they have already won FIRST PLACE many dance competitions! 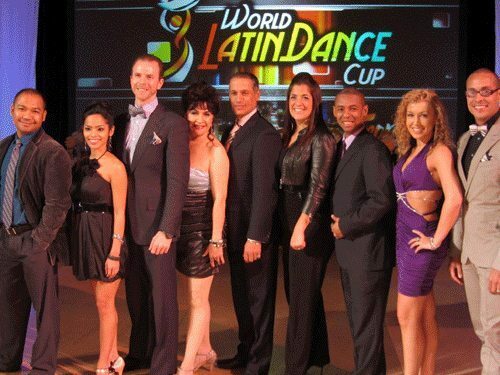 WORLD LATIN DANCE CUP CHAMPIONSHIP – FIRST PLACE! TO BOOK JENALYN & RAYMOND TO PERFORM, PLEASE CONTACT US.